1. 9" maximum fixture diameter. 2. 14" maximum distance from face of turret to spindle. 3. 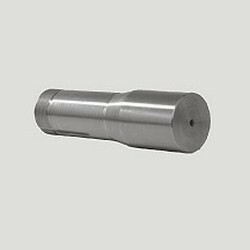 The spindle is mounted in high precision preloaded angular contact ball bearings eliminating radial and end play. 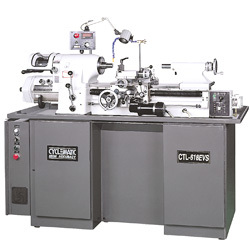 CNC toolroom lathe features advanced functionalities and designs. 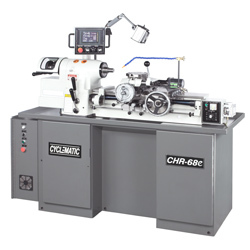 Made and serviced by cyclematic machinery Co., Ltd. That is committed to quality excellence. 1. Fully enclosed preloaded angular contact ball bearing headstock with splash shield for spindle. 2. Fast lever collet chucking with a single movement. 1. 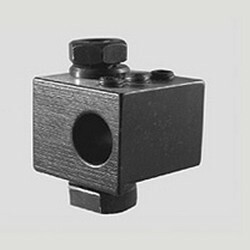 Specialized for small parts, precision parts and fine surface finishing machining. 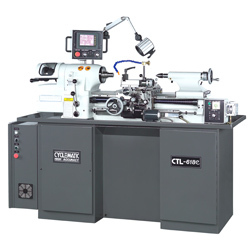 2.Spindle adopts copper conical bearing and oil film lubrication, light heat deformation of bearing, good at finish cutting and smooth cutting. 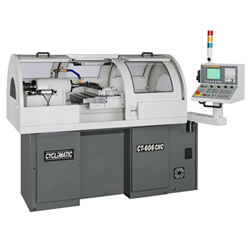 For: CTL-618EVS, CTS-27EVS, CTL-27EVS, CHR-68EVS, and CP-27EVS, CT-606CNC, CT-1118CNC, CP-27CNC, CTL-618e, CHR-68e. The boring tool holder is for direct application to the eight station turret. 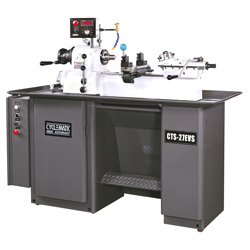 It is used for holding 20mm diameter boring bars, turning tools or split bushings. 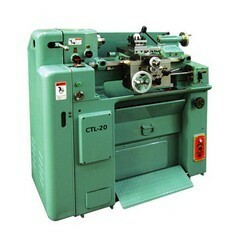 The body of the boring tool holder is made of hardened steel.